An ever-changing industry demands an ever-changing hydraulic solution that’s both reliable and efficient. 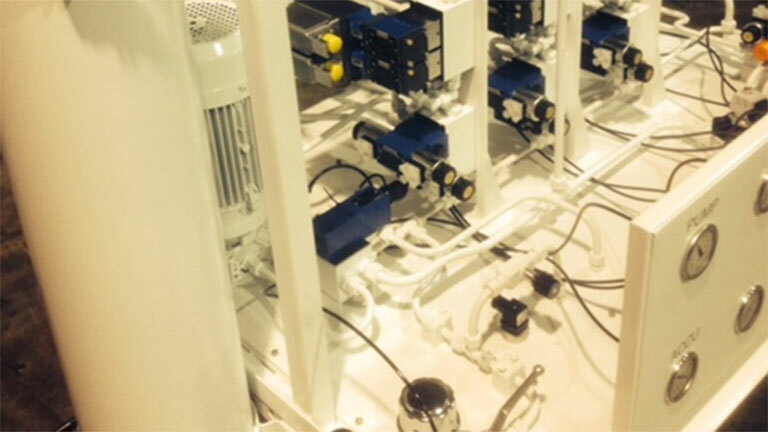 Delta Hydraulics specialise in the design and manufacture of custom built powerpacks unique to individual applications. Making use of the worlds most trusted components and modern technologies puts Delta Hydraulics as a front runner when energy efficiency and precision controls are a necessity. Delta Hydraulics can also offer an electric enclosure and full machine automation with sophisticates Programmable Logic Controllers, Human Machine Interfaces, Drives & Amplifiers. Unless otherwise requested all custom powerpacks are made to ISO-4413, safety related parts of a control system shall comply with ISO-13849-1 at a Performance Level defined by the client.